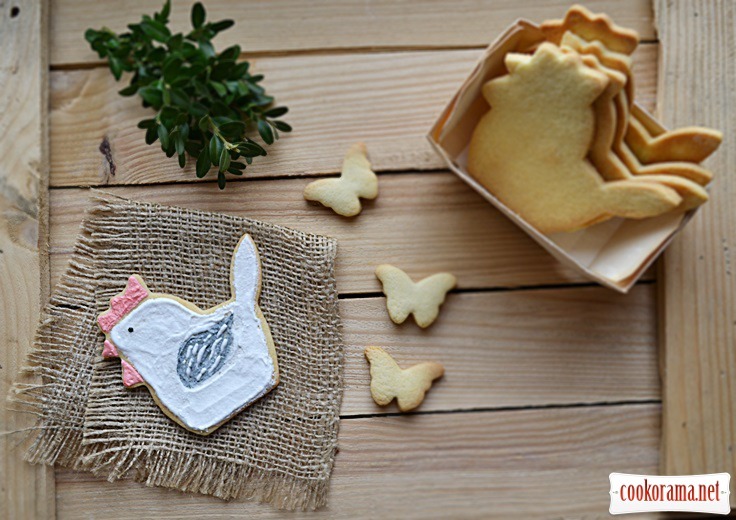 This shortbread cookies are good for decorating basis with finish sugar fondant, you can cut Easter symbols and different colored paint designs. Knead dough: at first combine room temperature butter with sugar, add egg, salt, stir it. 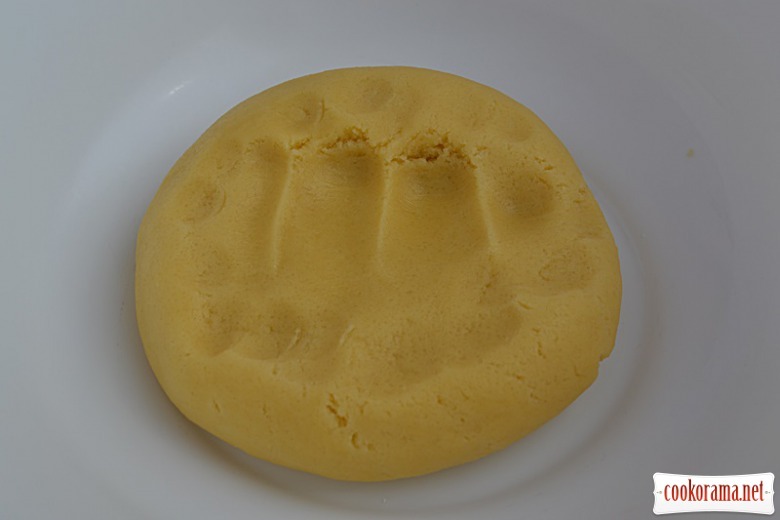 Sift flour, add egg-butter mixture and knead elastic dough (do not sift all dough at once, but gradually, in parts, at the same time occasionally stir mass with a tablespoon). Wrap dough in film and put for 30 min in cold. Next, roll dough at 4 mm thick. 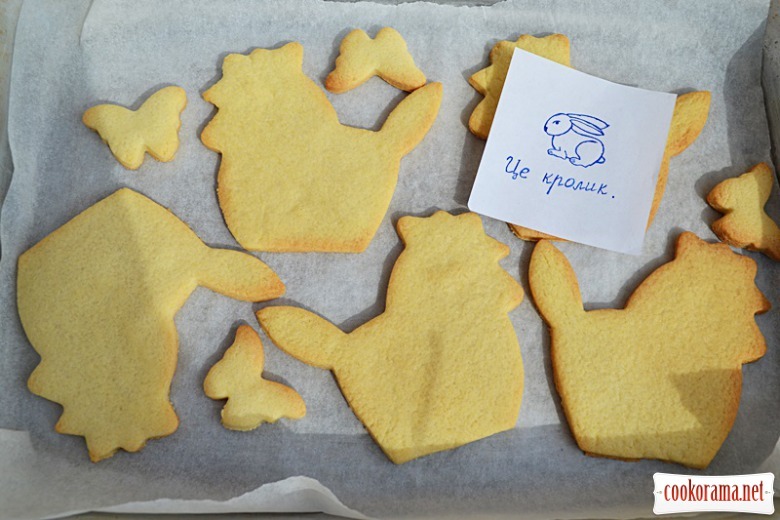 Cut off biscuits with special molds. Spread on covered with baking paper baking sheet. 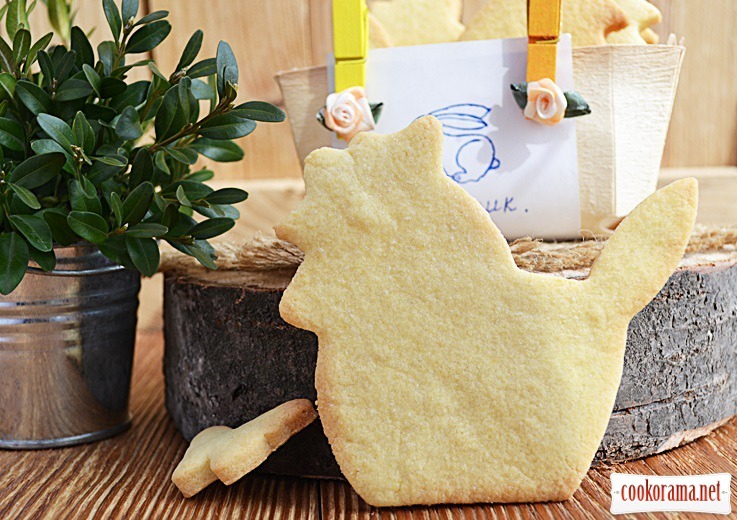 Bake biscuits at 180℃ for 10-15 min. 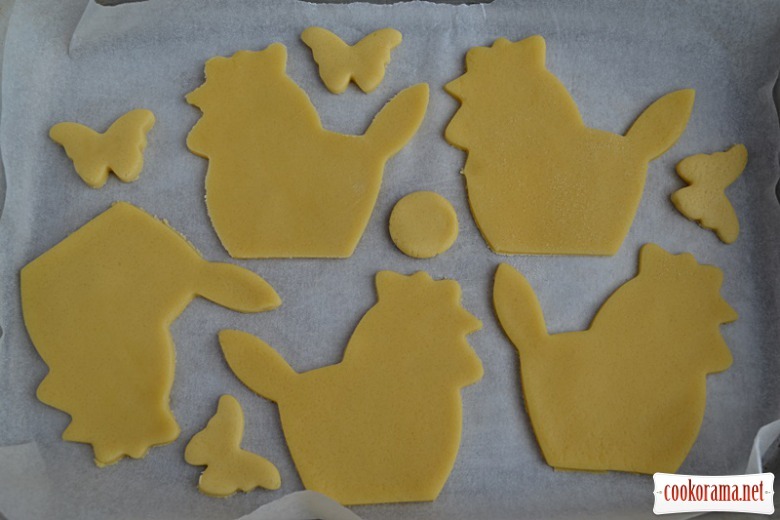 Decorate biscuits, if you wish fudge prepared from powdered sugar and white. 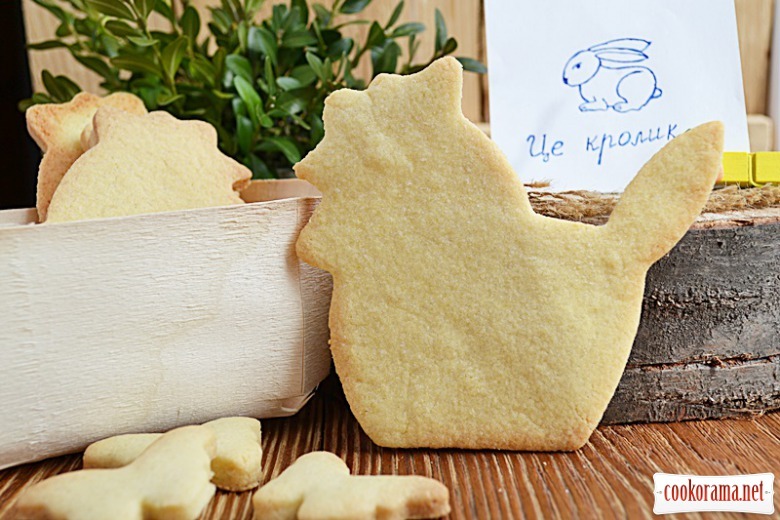 Top of recipe "Shortbread biscuit "Peacocks""
Надзвичайно красиві фото — такі ніжні і стильні! Печиво, звісно, мабуть дуже смачне, а ваш намальований кролик — змушує усміхатися! Дуже гарні півники а де курочок загубили ??? Які гарненькі! У мене питання: де Ви знайшли таку формочку? Море позитиву від переглядання фото цього печенька!!! 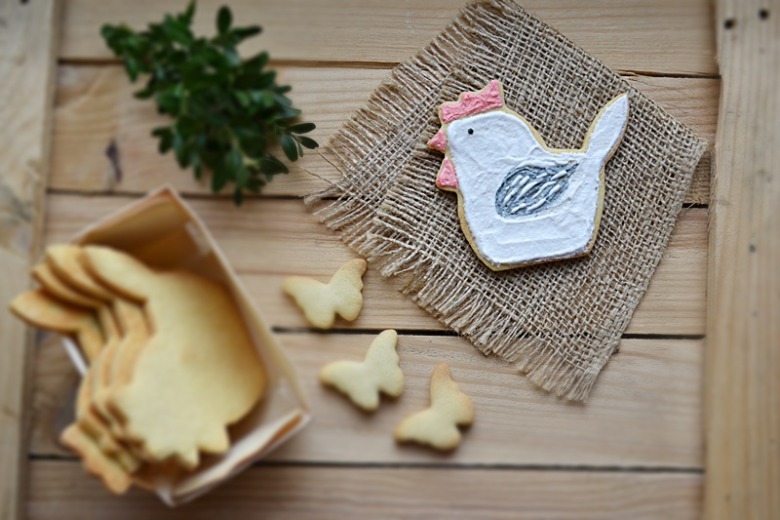 Recipes, Cookies, Shortbread biscuit "Peacocks"